The following article is a summary of third party opinions regarding the laws that govern dram shops. The name dram shop comes from the fact that a dram is actually a unit of volume, commonly associated with Scotch whisky and drams were commonly served in bars. The phrase is technical jargon for any retail outlet that focuses on selling alcohol. These are mostly venues such as bars or taverns. However, it is important to remember that dram shop laws also affect businesses such as restaurants, that have bars on site, or serve alcohol. Though the specific laws vary from state to state, there are two laws in particular that are seen most often across the board. The first law is the overservice law: Bartenders or the servers of alcohol may, and are legally required to, stop serving a patron who is intoxicated. This law’s main function is to prevent excessive alcohol consumption and is a useful tool in combating the extremely detrimental effects of over consumption on a patrons’ physical health, mental agility, and overall conduct. The second law, which is also a common one but is a much more controversial law, is the dram shop liability law. In a basic summary this law addresses the situation whereby if an intoxicated person leaves an establishment where alcohol has been served and consumed and they hurt themselves, other people, or damage any property in their state of intoxication, the establishment can be held accountable for the damages. This again is intended to encourage establishments governed by these laws to stop serving drunk people and even try to prevent them from driving after they leave the premises where the alcohol was served and consumed. There is strong evidence that supports the opinion that binge drinking is an incredibly damaging habit. It has both short term and long term symptoms which, along with many other terrible health issues, include the possibility of death. Yet, often people aren’t binge drinking at home. 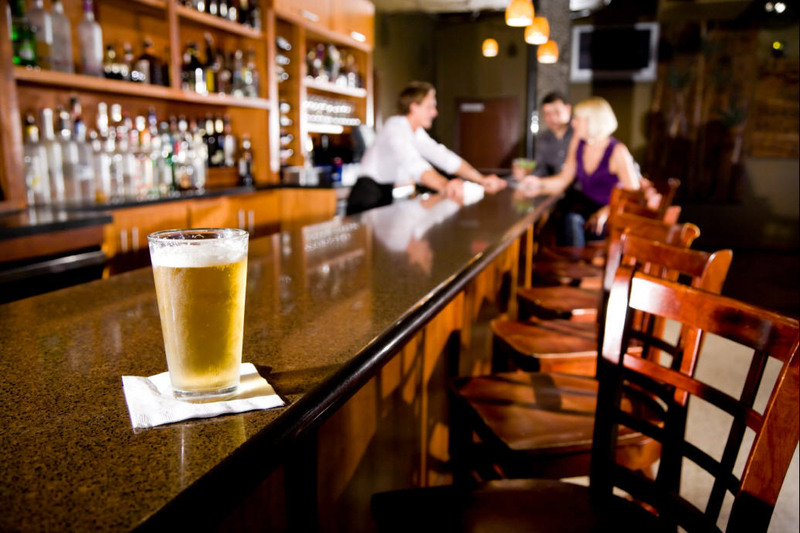 Recent research suggests that more than half of binge drinking happens at a bar or restaurant. Over a third of people questioned in one survey were found to have drunk more than 7 units in a single binge and 20% of those people admitted to having, in the past, driven home after binge drinking. Because of how dangerous this behavior is to all living beings using the road, the use of this law could be effective in preventing drunk driving. However, while many states have implemented this law, there is still not enough conclusive evidence to show that it does make a positive difference in car accident fatalities or other damaging aspects of binge drinking. Therefore, the effectiveness of the law in this case is still open to debate, and requires more studies to be done. The dram shop liability law is a lot more complex. It has been described as a radical strategy to combat drunken driving and prevent alcohol related accidents in general. The law can be summed up with this quote, “Dram shop liability is a private cause of action against a retailer for injuries or damages caused by an intoxicated or an underage drinking patron.” (Scherer et al., 2015). So not only does it account for drunk patrons, it also holds the dram shop accountable if an underage patron is served and then causes harm or damage. This is a twofold attempt to prevent motor accidents and fatalities. One could argue that by preventing youths from drinking, you prevent an already inexperienced driver from making a massive mistake. Unlike the overserving law, this law has actually shown that in some areas there are 6.4% less alcohol related motor accident fatalities due to the use of this law (Scherer et al., 2015). This law encourages more rigorous identification checks and makes bar owners wearier of overserving patrons. Scherer, M., Fell, J., Thomas, S. and Voas, R. (2015). Effects of Dram Shop, Responsible Beverage Service Training, and State Alcohol Control Laws on Underage Drinking Driver Fatal Crash Ratios. Traffic Injury Prevention, 16(sup2), pp.S59-S65. 50-201-129-166-static.hfc.comcastbusiness.net. (2016). The Effects of Dram Shop Liability and Overserving Laws on Alcohol-Related Harms | CADCA. [online] Available at: http://50-201-129-166-static.hfc.comcastbusiness.net/resources/detail/effects-dram-shop-liability-and-overserving-laws-alcohol-related-harms [Accessed 23 Mar. 2016].